Unisport World Tour: Will Joltter finally find Ronaldinho? After a long break we are finally back with a new episode from our Unisport World Tour and Joltter has briefly reopened the mission: Finding R10. Joltter has made it to Mexico to watch Queretaro play. The question is: Will Joltter finally find Ronaldinho? Ronaldinho is Joltters number one idol. Ever since he was a little kid he has loved watching Ronaldinho do his magic for both PSG and Barcelona. In 2014 he went to the World Cup in Brazil with an ambitious dream. A dream to find Ronaldinho. Although Joltter did absolutely everything, including flying a kite, to try and find him; the mission was never accomplished. So we thought, why not send Joltter off to Mexico in connection with the World Tour? And as Joltter managed to get in touch with Queretaro FC, Joltter seemed to be closer than ever to meeting his idol. However, Ronaldinho is not an easy guy to find. Check out the video above to find out if Joltter's dream came true. Joltter is currently in Tokyo, and is on the lookout for cool places to play football. 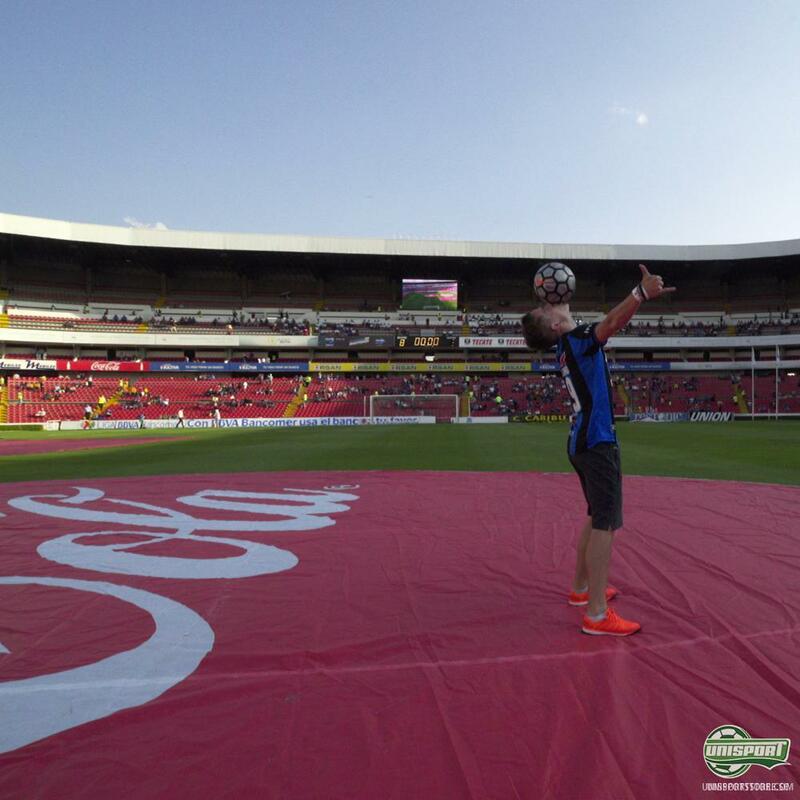 In Queretaro he managed to show off his tricks on the their home pitch before their match against Tigres. Where in the world would you play football if you could pick any place?